Durban - Day two (2) South African Music Conference hosted by Disc Jockey (DJ) Oskido, has indeed progressed well with much focus on the aspiring youth of Mzansi. 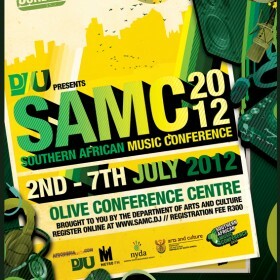 SAMC is rather a conference whereby ideas by industry professionals are shared with experience, the likes of Vinny DA Vinci dating back and sums up a considerable number of 25 years in the music industry and the legendary DJ Christos. There are mobile recording studios to give the young people a chance to record their craft – which as it is at present will be showcased or rather played during the conference. The women of honor shared their lady touch in the industry - exploring all the challenges that face young female artists or DJ's - DJ Zinhle and Pru. DJ Zinhle also mentioned that she's gearing to groom aspiring female DJ's though her DJ Academy - which now focuses on Djying. 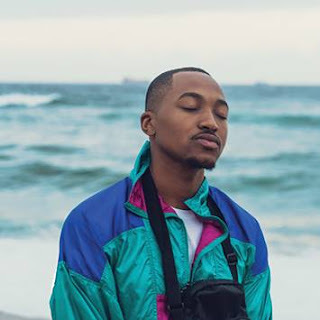 The conference aims to develop South African youth on how to master music, playing with different musical elements like, microphone technique(s), exploring all the different microphones available in their industry, packaging – digital distribution of their music with success. “Whether it’s a CD or Digital release it’s not about how much you’ll make – your money is made by your performance(s). The stuff that you do, you need to market it and make extra money for yourself…” Said DJ Christos. A lot was shared as the active youth of SA threw back questions and opinions about the industry and what was shared. The environment was pleasant and welcoming for learning and share knowledge at a rather energetic and blissful feedback from the DJU Crew. In a nutshell we are looking forward to tomorrow's day 3 of the event. To sign and stamp the music conference on Friday, 06 July. DJU presents Night of Legends: Mdu, Byron Stinly (Ten City), Trompies, Thebe, Oskido, Vinny DA Vinci, Christo, Ganyani, The Maestro, DJ Fresh. R180 at Computicket or R200 at the door. Olive Convention Centre. Sat, 07 July: DJU presents Mother of All Parties featuring Black Coffee, Rocco (France), Fresh, Oskido, Ralf Gum (Germany), The Maestro, Vinny, Christos, Sbu, Vetkuk vs Mahoota, Bobsta, and many more DJs on 07 July at Durban's Ice Rink. Tickets are R180. "Start by supporting your own things..." Said DJ Christos in encouraging the Youth to use the local digital music store AfrodesiaMP3 "Where Rhythm Lives"